OVERLAND PARK, Kan. -- Police say a mom acted quickly to free her child from a locked car on Wednesday afternoon in the parking lot of a fitness center. Police tell FOX 4 the mom accidentally locked her keys inside the car in the 6800 block of W. 138th Street at about 2:45 p.m., and broke a window to get to her child before emergency crews arrived. 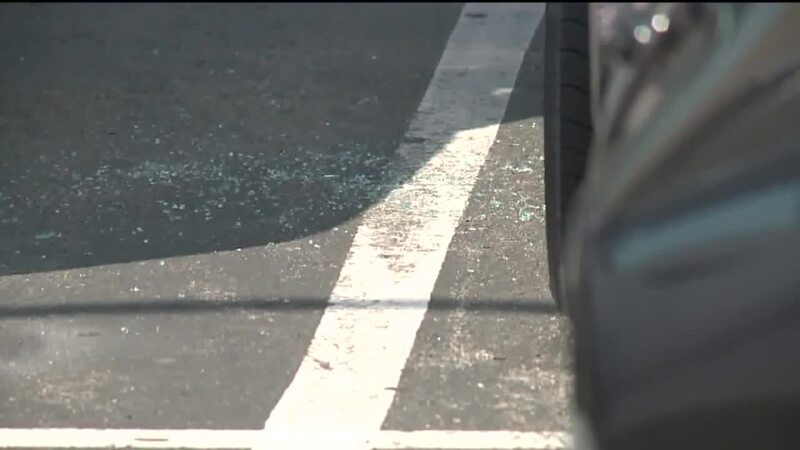 Police say it appeared the child had only been in the car for a few minutes, and paramedics at the scene said the child was okay, and didn't need to go to a hospital. Details about their age and gender weren't immediately available. People outside the gym were relieved to hear that the child was saved. "I'm amazed that she had the tools to go ahead and do it right away, and on a day like this you just don't have time to wait for anybody else to come help you," said Kristie Hatfield. "I'm sure it was sheer panic, and every second counts when it's your child." The mom's quick action was especially important on Wednesday, as the high temperature is expected to hit 100 degrees. A study by San Francisco State University shows that in only 10 minutes, the temperature inside a car can rise as many as 20 degrees, a situation that could have become dangerous for the child had they remained locked in the car.